If you have children, then you know that it can be a lot of work to keep them entertained. Half the time you are too exhausted to do anything, and you would rather just set them in front of the TV for a few hours than to spend even more energy finding a fun project for them. While television is okay, in moderation of course, there are plenty of ideas out there that can help get your children exercise and keep them occupied. But that’s not what this article is about. 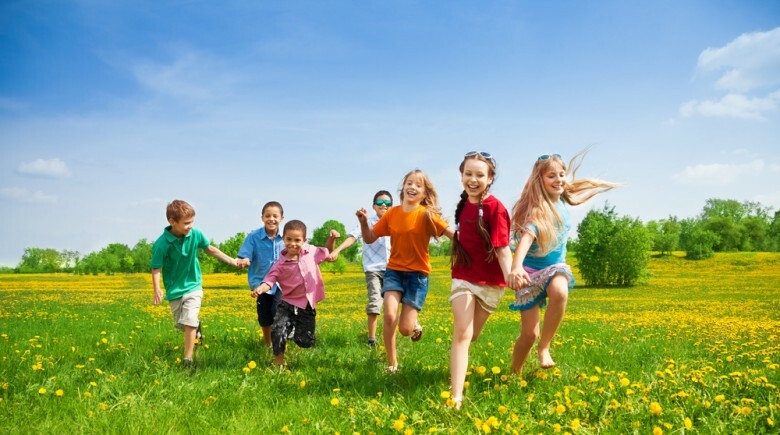 This article is about the 5 children’s activities that will help to teach work ethic without them realizing that you are teaching them work ethic. The key is to subtly incorporate the work into the activity, making it fun and exciting. So many people grow up without learning this essential life skill. It has become too easy to order food in, or simply get something that will go in the microwave and be ready in 90 seconds. Starting as young as age 2, your child can begin to learn their way around the kitchen. Of course a 2 year old will not be able to do much, but you can give them simple tasks. The point is that they will learn how to cook (or bake), and as they grow older you can start to incorporate math skills into the activity (doubling or halving recipes). While most kids will not go on to become professional chefs or bakers, they will be able to cook for themselves in college and after. A side bonus is that you will learn all sorts of new recipes for yourself too. No kid likes to do chores; no adults like to do chores for that matter either. But the house needs cleaned, and unless you have a maid that comes in to help you out, you are probably doing it yourself. Baking and cooking are easy skills to make into games. Cleaning can be a little more of a challenge. While the children are very young, they will still be impressed with the vacuum and the noises it makes. As they grow older you can incorporate a story into the process. Dress up if you need to. Make sure to teach the child proper techniques, and then help them strive for perfection (sugary rewards for a job well done are essential here). There are many benefits to this activity. You will teach your children to do a complete and thorough job, you will show them that a clean house is more desirable, you can help them learn that a clean workspace is easier to use than a dirty one, and you will have a nice clean house to enjoy. During the spring, summer, and into the fall you can enjoy the outdoors with your kids. And if you have never planted a garden, get started on it together. Find a few simple books on gardening (you don’t need anything fancy), and figure out what you want to grow. You will be able to teach your child proper planting techniques, how to keep the garden weed free, watering, and responsibility (neglect the garden and it dies). The end result is you get to harvest your product. All the while the child gets to play in the dirt. Tomatoes are easy to grow, as are beans and peas. Doing projects yourself is one of the best ways to save money. But you won’t save anything if the project is done wrong, so before you get going on this one, make sure you have the proper tools, and the proper know-how. As your child grows older you can progress to more and more difficult jobs around the house. To begin with, make sure they know their tools (ask them to retrieve items for you). They can build simple projects with scrap pieces of wood as they master holding the tools. Depending on how much work you want to do on your house, you can get more and more involved teaching the children everything from basic home maintenance, to full on construction. This skill is an easy one to convert into a cash flow later down the road. Every kid loves art. Whether it is scribbling on the sidewalk with chalk, or putting on a smock and painting a masterpiece. The internet is rich with tutorials on how to do any kind of artwork that you desire, so why not help develop the creative side of the brain and have some fun? Your kid may not grow up to be the next Picasso, but as with all skills, practice will make them better. Graphic design and freelance art are both fantastic ways to supplement your income; start your child early learning these trades. Children’s activities can be as fun, or as boring, as you make them. Every kid needs to be entertained, and you might as well start building some essential life skills that could be turned into professions, or side incomes, down the road. Even if your child fails to develop as an artist, who cares? You had fun and you now have artwork with which you can decorate your refrigerator. But chances are, he or she will pick up on something and be able to monetize it later in life.